The next Spark Book Group will convene on Tuesday 9 April at 6pm. We will meet in the Saltire Society at 22 High Street, and will be expertly led once again by Joyce Caplan. Territorial Rights was studied for the annual quiz, so the homework should all be done! 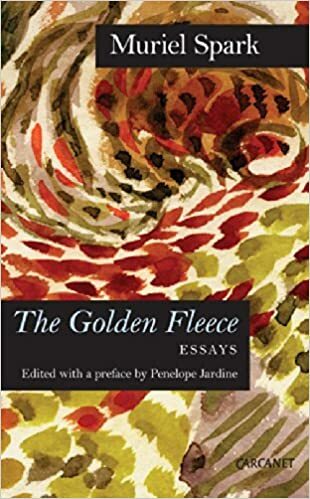 Please also read Spark's essay on Venice, which can be found in the collection, The Golden Fleece. Gail Wylie will be freshly returned from Venice and is hoping to bring back some Spark associated booty. We'll also get in the mood with some Italian wine and nibbles. Do join us if you can. The Society presented a very successful wine tasting at the Scottish Arts Club last night. Many members attended, as well as guests invited by Committee member Bridget Stevens. This made for a good mix and a convivial time was had by all. This was in no small measure due to the expertise of Alan Johnston, our guide for the evening. After a heady start on prosecco, the various wines were presented in batches of two for very telling comparison. A Old World/New World debate ensued! Fun prizes were presented, and a top one of fine wine went to one of the expert tasters. Our great thanks particularly to Alan and Bridget. Thanks to Lorna Statham for organising, prizes, and like Jack Reynolds, pouring so judiciously! The Muriel Spark Society Book Group next convenes on Tuesday 9 April at 6pm. Our title this time is Territorial Rights, her novel set in Venice. We shall also consider her brilliant essay on Venice included in The Golden Fleece (pp. 84-89). The discussion will be led by Joyce Caplan. Refreshments will be served. Join us and do some excellent preparation for our visit! You are also very welcome if you can’t make the trip. "Fifty-something Shona is a proud former pupil of the Marcia Blaine School for Girls, but has a deep loathing for The Prime of Miss Jean Brodie. Shona is thrilled when selected by Marcia Blaine herself to travel back in time for a one-week mission in 19th-century Russia..."
She will talk about her book at Morningside Library. Happy 101st Birthday Muriel Spark! We are very sad to announce the passing of our stalwart member Jessamine Davenport. Jessamine beguiled us with stories of her life. She was an indispensable part of our trip to Siena, and played host to the Sparkisti at her home. Thank you Jessamine. Is it red or is it white? Celebrating Carnevale. Wine tasting -more details! A Tutored Wine Tasting presented by the Muriel Spark Society. Led by Alan Johnston, former President of the Scottish Wine Society and active member of the Institute of Wines and Spirits in Scotland, as well as holder of a Higher Certificate in Wine from the Institute of Wines and Spirits, Alan is highly qualified to act as our guide in what promised to be a fun, informal yet informative evening. It takes place in the exclusive Club Room of the Scottish Arts Club. The Scottish Arts Club, 24 Rutland Square, Edinburgh EH1 2BW. The Muriel Spark Society is planning a trip to Venice in March 2020. Organiser Martin Gray of Learn Italy Study Holidays will be present. Join the Muriel Spark Society for a wine tasting at the Scottish Arts Club on 5 March at 7.30pm. It will be led expertly by Alan Johnston, former president of the Scottish Wine Society. The cost is £15. Please register your interest with our Membership Secretary, Lorna Statham: lornastatham@btinternet.com. Martin Gray from Learn Italy will join us to speak of our proposed trip to Venice in March 2020. The Society was founded in 2001, with Dame Muriel's personal approval and blessing. She was particularly happy to know that this is based in Edinburgh - which she termed 'her own city'. 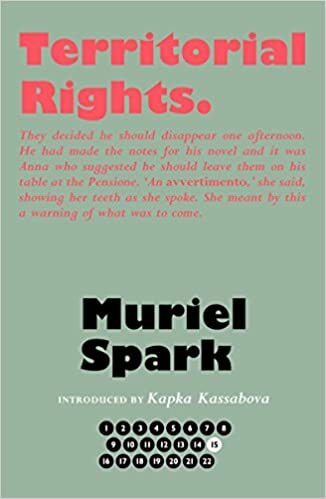 The purpose of the Society is to promote the understanding, appreciation and enjoyment of Muriel Spark's work, and to provide opportunities to meet, discuss her work and learn more about her wide range of interests including art, music and fashion. The committee organises a varied programme of events, including talks by eminent speakers, and an annual lunch in January or February to commemorate Dame Muriel's birthday. Members also receive our annual Newsletter, for which contributions are invited. The Muriel Spark Society. Simple theme. Powered by Blogger.